In a perfect world, the term “hidden gem” would be set aside exclusively for gems as wonderful as BranCliff Inn. This elegant Georgian manor is tucked away on Platoff Street, in the National Historic District of Old Town. Beautiful enough to look at from the outside, the real joy starts as soon as you open the front door; Georgian architecture, original Palladium windows, elegant dining room and suites. 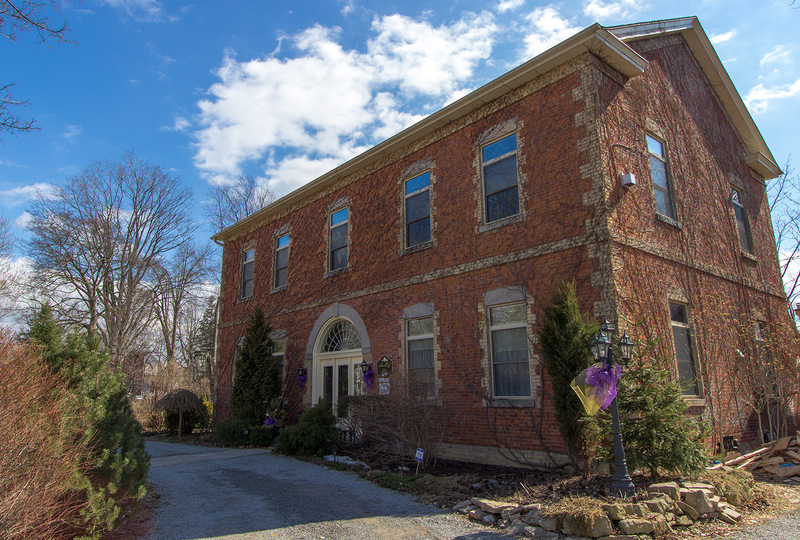 This Ontario Heritage Association designated building was once a public school in Newark in the Province of of Canada (today’s Niagara-on-the-Lake). In 1859, the school house served elementary grades and had four classrooms, two on each floor. The school was used until 1948, after which it was converted into a four unit apartment building. In 2005 it was converted into a bed and breakfast, and in 2012 renamed the BranCliff Inn after the owner’s sons Brandon Tataryn and Clifton Tataryn. Each of the four Corner Suites on the second floor have their own sitting room with 17 foot ceilings, fireplace, fridge stocked with complimentary juice and water, large en-suite bathroom with complimentary toiletries, bath robes, hairdryer, ironing board, and iron. There is also a ground level bedroom on this floor that boasts all the above amenities. This spacious main floor room features a sitting area with fireplace. 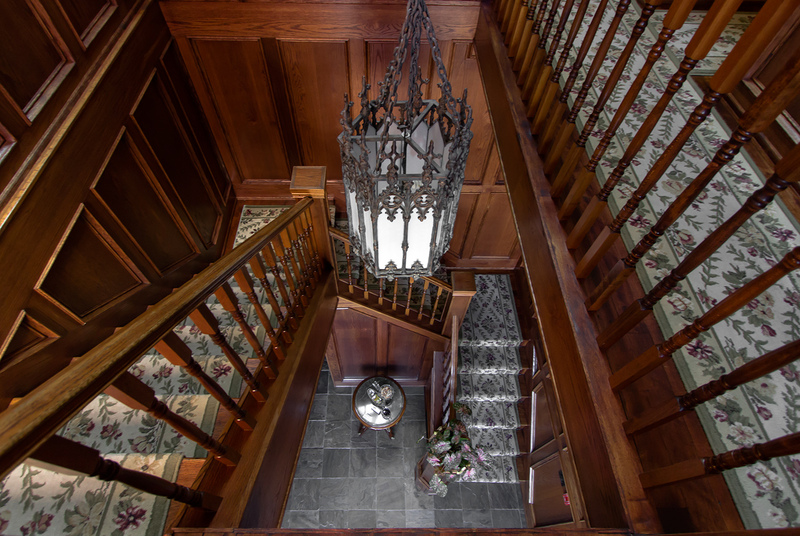 This suite is perfect for people not wishing to climb stairs. All suites have recently been upgraded with Flat screen TVs, DVD players, Keurig coffee makers, high thread count bedding and Down Duvets. Upon arrival you’ll be welcomed by Debbie Laufs-Tataryn. She is a great hostess. The breakfasts she prepares are simply amazing, with a variety of cold and hot delights to choose from. 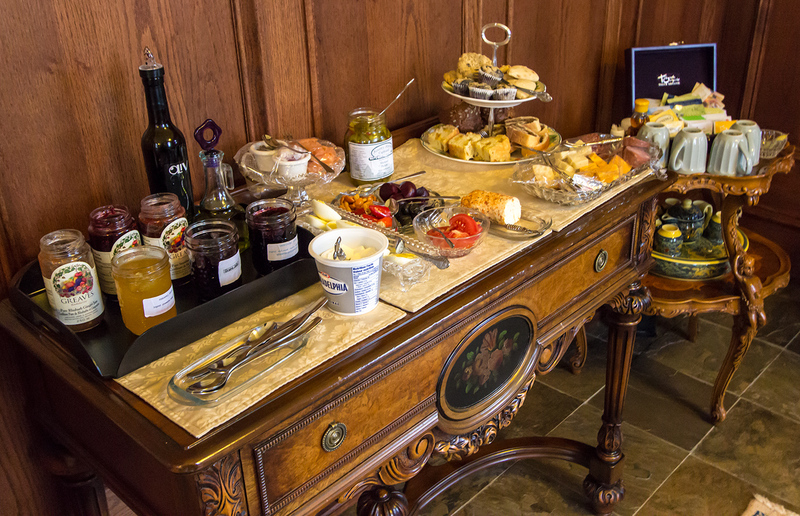 On the breakfast buffet table you will find different types of fruits, juices, freshly baked goods, cream cheese French toasts, quiches, an assortment of cheeses, smoke salmon and many other wonderful eats. BranCliff Inn is a magnificent balance of intimacy, quality, character, professionalism, sensuous comfort and attention to every detail. 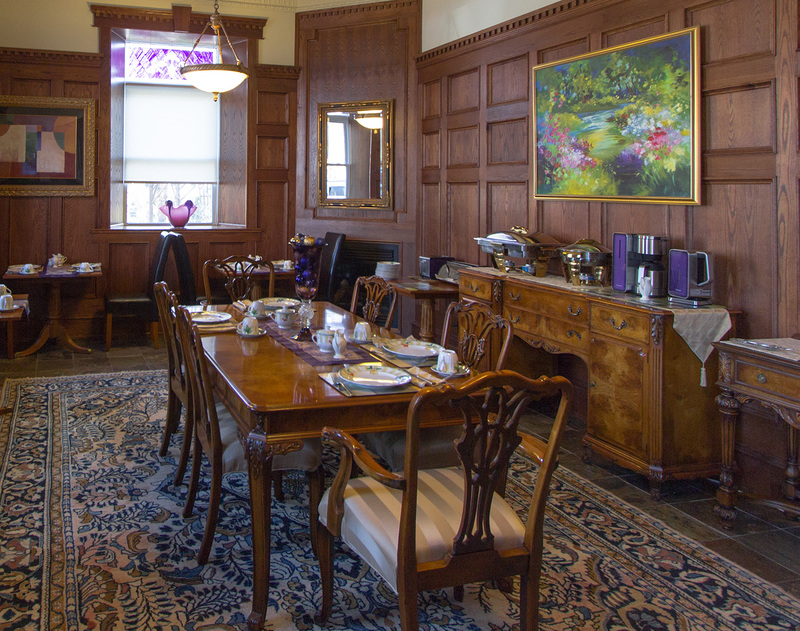 It’s located on a quiet side street, within easy walking distance of the Shaw Festival, many fascinating shops and more than a dozen fine restaurants. 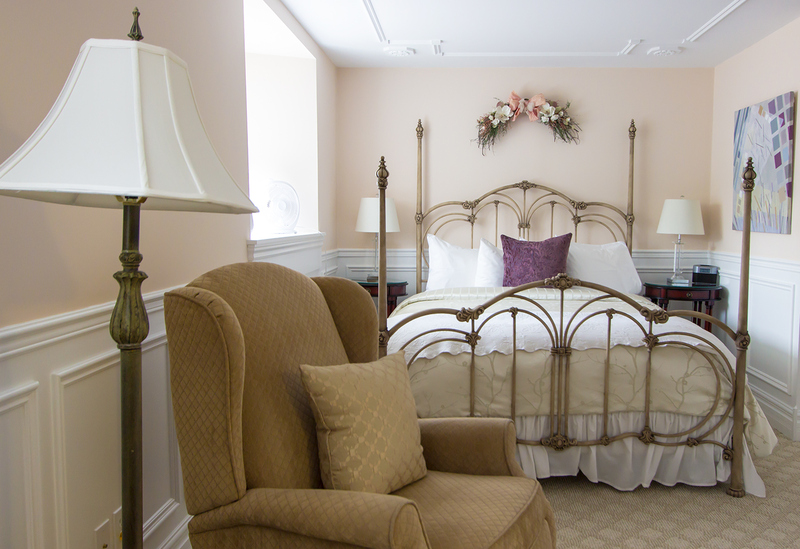 With a design resonant of life in the 1880s, BranCliff Inn captures the flavour of historic Niagara-on-the-Lake. 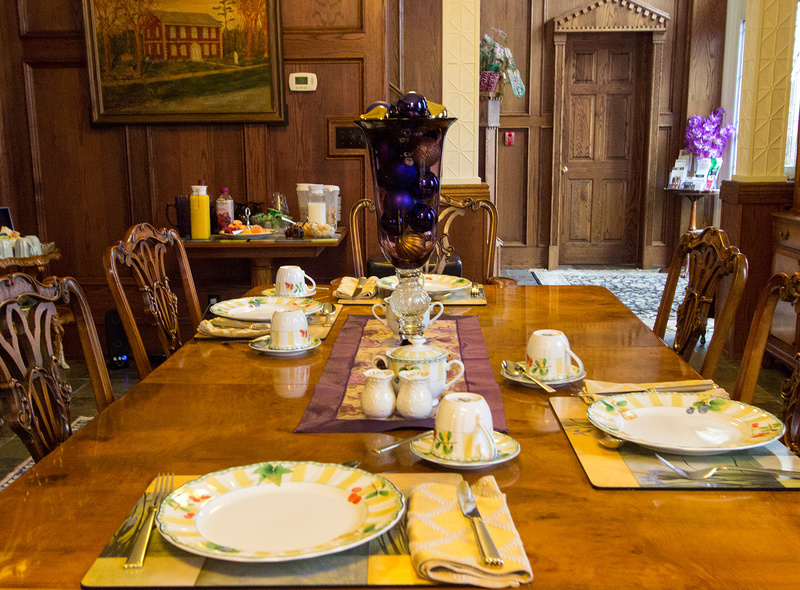 A special thanks to Debbie for hosting us and for making our first stay at a Bed & Breakfast a memorable experience. 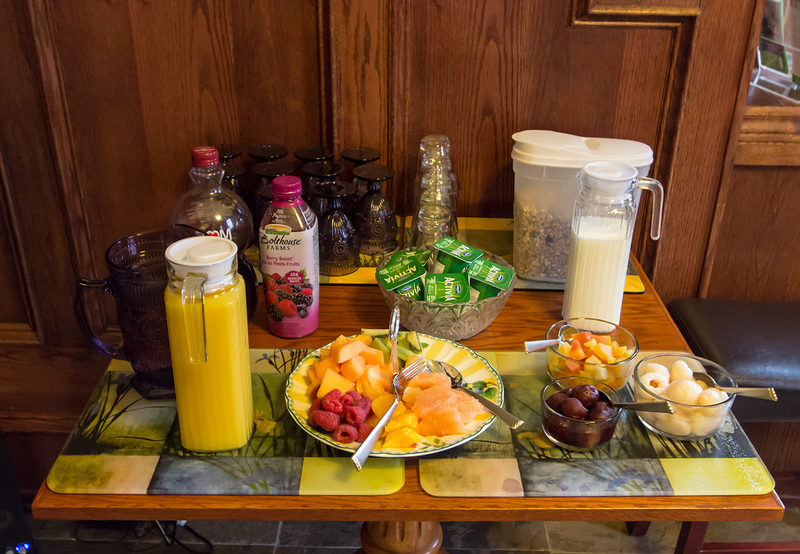 Free Breakfast – Coffee / Tea, Juice, Fresh fruit, Granola, Yogurt, Fresh baked goods from 8 am. Then – Full buffet breakfast, served at individual tables from 8:30 am till 9:30 am. Everything is homemade.